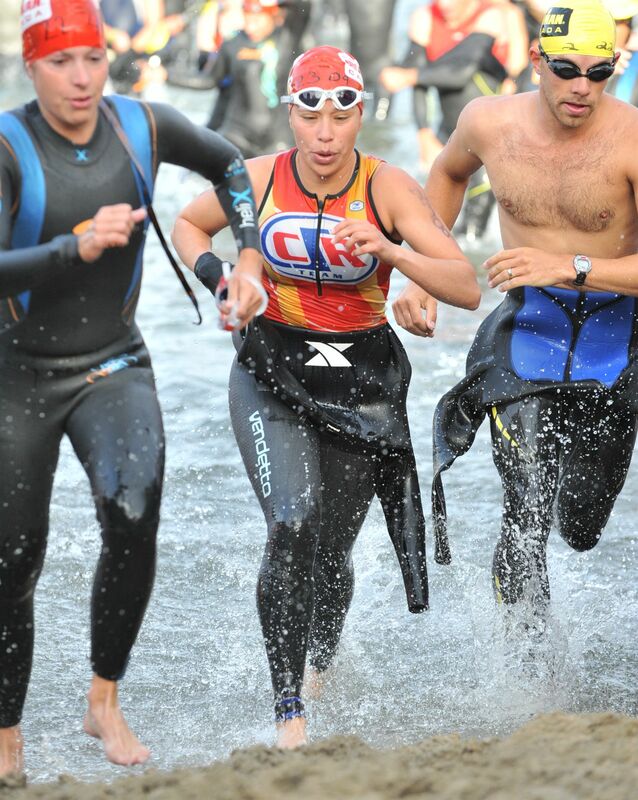 Athlete-Mom Interview: Rosario Malpica | Move fast. Think slow. Rosario and I met through triathlon training with Critical Speed Racing in Calgary and she always has a smile on her face! She is also my very favorite person to go see the odd time I can fit in a massage. She goes deep and knows what an athlete’s muscles need! If you are in Calgary, you can find her at Therapeutic Hands. 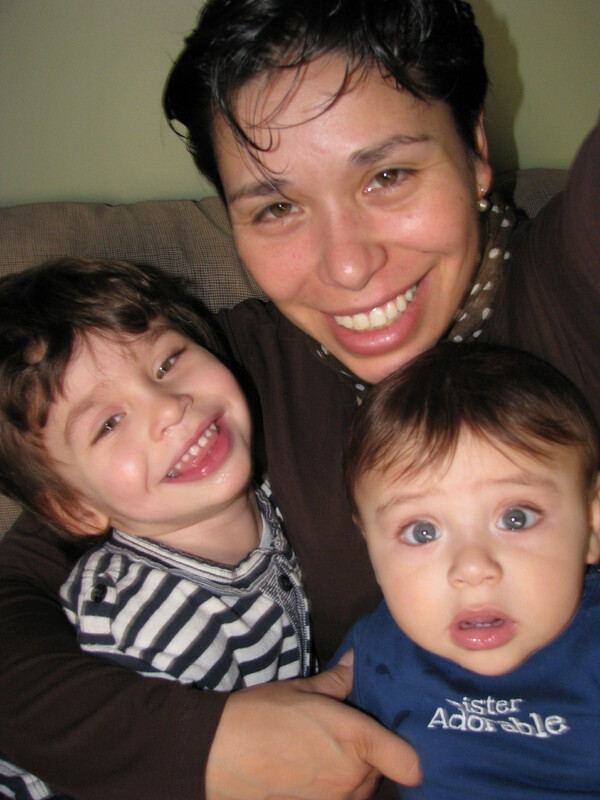 After having her first son, Sebastien in June of 2009, Rosario competed in the Honolulu marathon six months later and continued on to compete in Ironman Canada when her son was 14 months old. 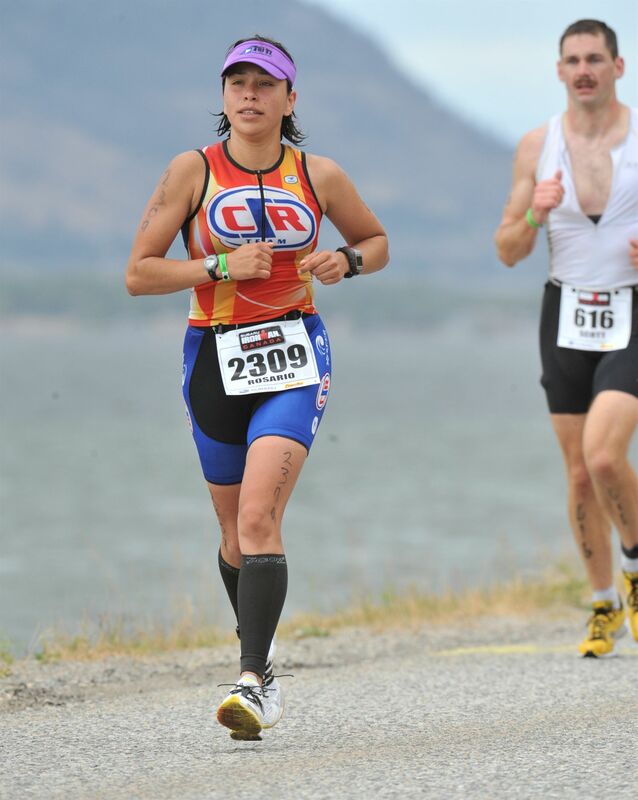 Her second son, Jonathon was born in June, 2011 and Rosario is back on track for her next Ironman. Her husband, Andrew has also managed to fit in some half and full Ironman races in the past few years as well. Rosario was one of those amazing pregnant moms who was able to run almost to the end of each pregnancy! Below she talks about how she has been managing to balance it all! I was born in Mexico and I started swimming at the age of four. I got into competitions when I was 8 years old and competed at our National Championships. I stopped swimming competitively when I was 15 years old. In 1998 I got into triathlons looking for a more dynamic way to exercise. I raced professionally in 2001 for a few months, then I started an internship at university and had to stop. I did my first marathon in 2003 and after that I just loved the long distance races, so I did a few half-marathons and half Ironmans. I did my first Ironman in 2005 and I just fell in love with it. 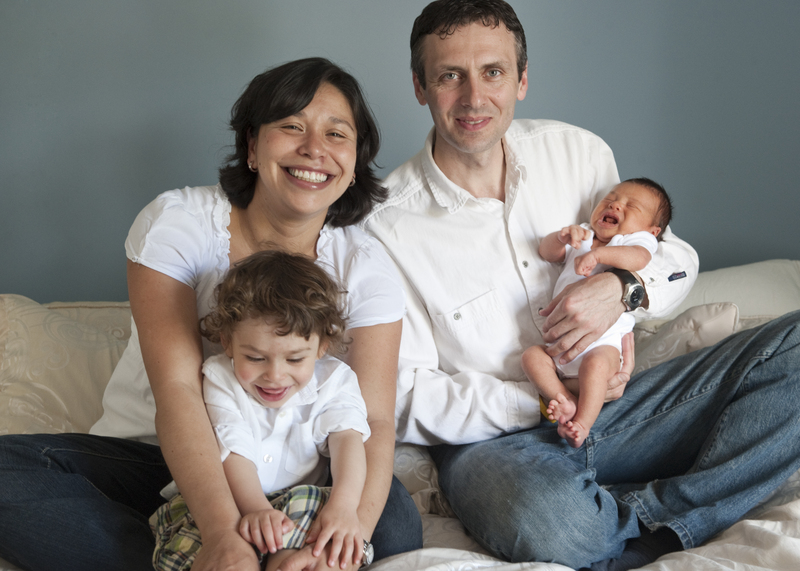 After my second Ironman I had my first son, then I got pregnant the following year and had my second son. Presently, my sons are 8 months old and 2 years and 8 months old. 2. What has motivated you to keep setting athletic and/or competitive goals since becoming a mother? Is it different from pre-children? I think I just don’t want to forget about taking care of myself, plus is an amazing feeling to see your kids when you are finishing a race. It just takes you to a different level. I also think it’s very important to show to your kids this athletic world, and I am hoping in the future that they will find a sport that they like as much as I do mine. 3. How do you balance training and/or racing with your family and work? It’s hard to do everything. But I think you really have to organize your life if you really want it…and I keep my agenda close by. I usually do my workouts in the mornings, sometimes I have to wake up at 5am when everybody is asleep at home. Then I take my boys to the gym where I drop them off at the babysitting centre at the gym. I am a Registered Massage Therapist and I work part-time one or two times a week during the day, some late afternoons and evenings when my husband gets home as well as full days on Saturdays. Usually my longest workouts are Saturday and Sunday mornings when my husband is home and he can help me out. Sometimes I miss having dinner with my family, but I don’t want to give up the ability to spend time and take care of my kids during the day. I will probably change my schedule once my kids are in school, that way I will be able to work more during the day and work less evenings. I do not want to stop working either because it’s a break from the busy life at home with kids, is good to talk to adults for a change. For now, I have to think that what I am doing is for everybody’s well-being. I try to keep housework up to date, so I do small amounts cleaning here and there all the time. I also cook every two days, that way the day that I don’t cook I clean or vice versa. 4. Did you train during your pregnancies? What was your approach? I trained up until two weeks before I had my boys. I was running, doing stairs, yoga and swimming most of the time. I would alternate these activities so I was doing something at least three times per week. I always listened to my body, and if I felt like sleeping in I would do it. During my first pregnancy, I did only one activity three times a week. With my second pregnancy, I was more at ease and some days I did two activities in one day. Of course, it got harder as time went by, but I felt very good during both pregnancies. 5. What were the biggest challenges getting back into shape after your first child? And now, again after having two? Has the challenge of getting fit again been the same, different, or even easier the second time? The first time wasn’t too bad, I just felt that I needed to strengthen my core a lot more than the rest of my body since I was able to train up until the end of my pregnancies. I gave myself 6 weeks before I did anything else after childbirth. Unfortunately after my second pregnancy my hip was out of alignment since all the ligaments where loose, after running again for a week and in combination with my work (standing for long periods of time), I developed plantar fascitis. I am still recovering from it, but getting back on track. I didn’t give up of course during this time of injury. I’ve done a lot of non weight-bearing activities like water running, crosstrainer and stairmaster. I found that after both pregnancies pilates has been very effective at getting my core stronger again. It’s amazing how sore your abdominal area can feel after long runs!! I didn’t I was due to breastfeeding, the hardest part for me was getting used to the lack of sleep. Which happens a lot with my kids. I think it’s easy to get fit again as long as you want it. 6. Any advice you would give to other moms trying to stay active and/or competitive while balancing life with children? Organize your life, everything is possible. Remember if mommy is happy everybody is happy. 7. What is your favourite part about racing Ironmans? I love the mental challenge more than the physical, but of course for these types of races you must have both. So you have to be ready for it, with all the hours of training. But is your body going to give up when you start feeling all the miles on race day? It’s a lot of hours of commitment to train, but when you cross the finish line you just realize how much it means to you and the people who love you. There is not even a comparison with weather!! Ha ha ha…I think that is the hard part. But you just have to adapt and it’s the same with having a family, you need to adapt to the changes and challenges that you will face. And of course you have to do a lot of indoor training, you have to learn to love a treadmill and windtrainer, but in the end just means you will do anything for your favorite sport. I just want to say, if a Mexican girl can run on a -20 C temperature with cross winds that means any Canadian person can do it!! Good luck training and see you out there!! 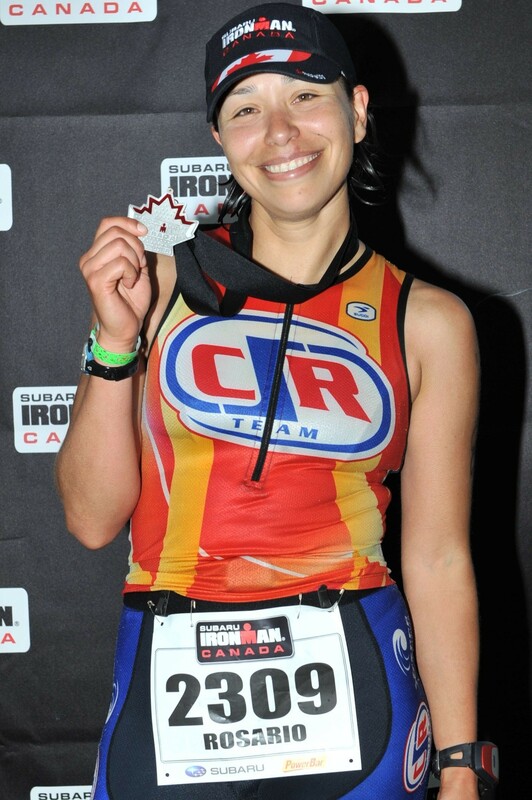 This entry was posted in Athlete-Mom Interviews and tagged athlete-mom interview, triathlon by Danelle Kabush. Bookmark the permalink.